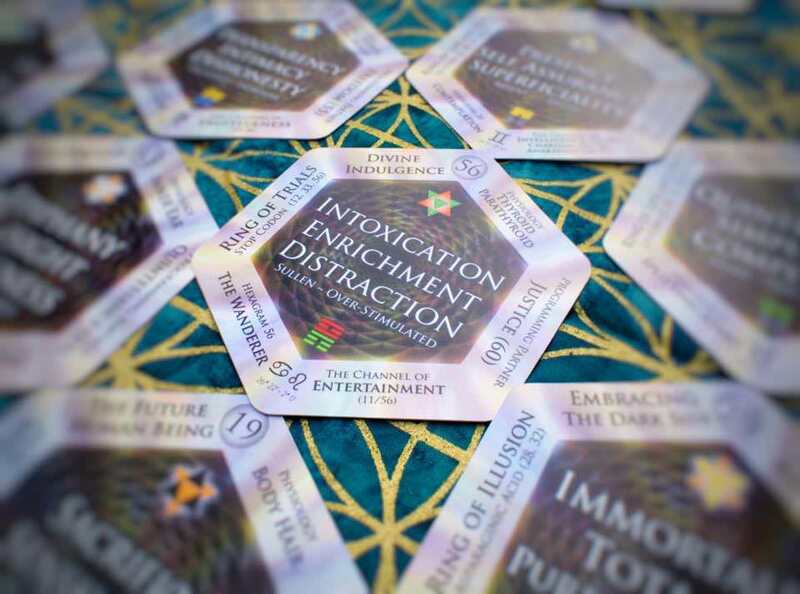 This Deck is designed as a contemplation tool to deepen our connection to the Gene Keys Transmission for enhanced education, exploration, and experimentation with the 64 universal archetypes represented. 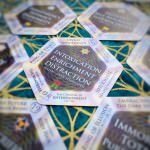 There are many ways to use this deck in your own life, whether drawing a random card like a traditional oracle deck or laying out the specific gene keys from your Hologenetic Profile. 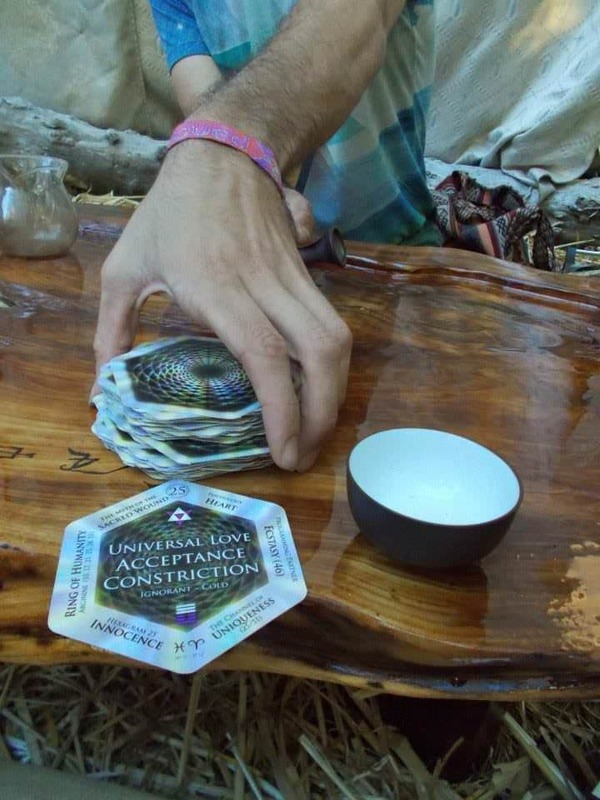 And yet, true insight only arises from within each individual, so take this journey lightly, and discover your own unique path! 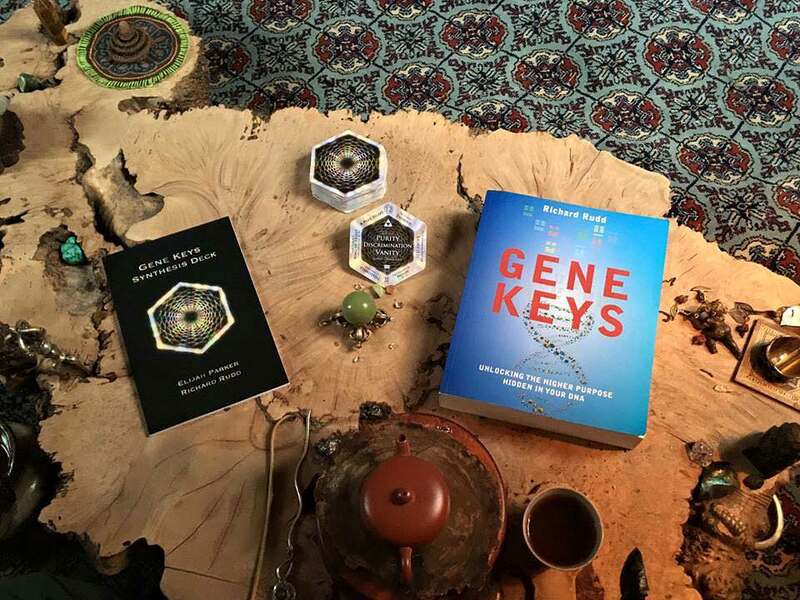 This 72 card deck is a powerful tool for exploring the Gene Keys Transmission. 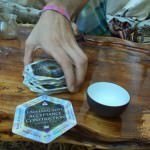 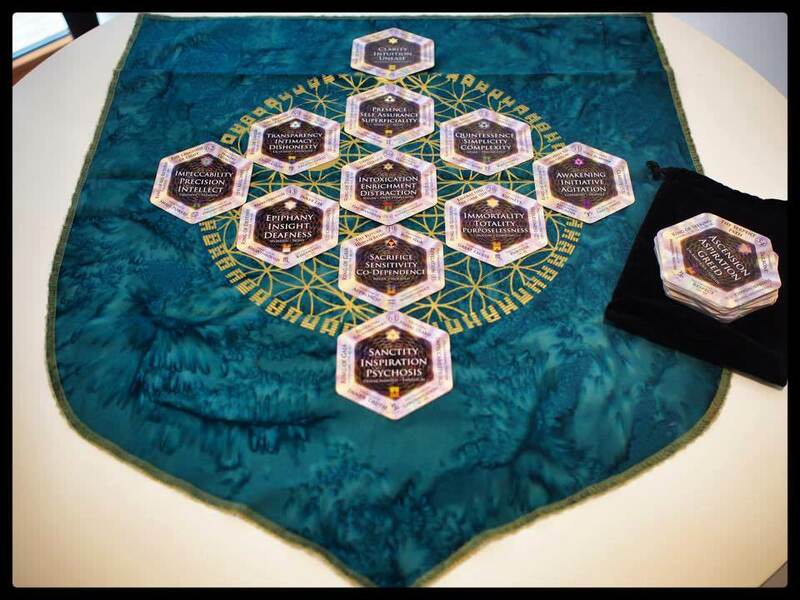 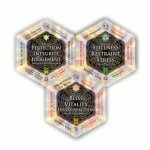 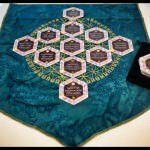 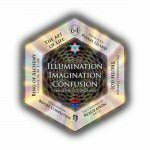 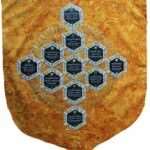 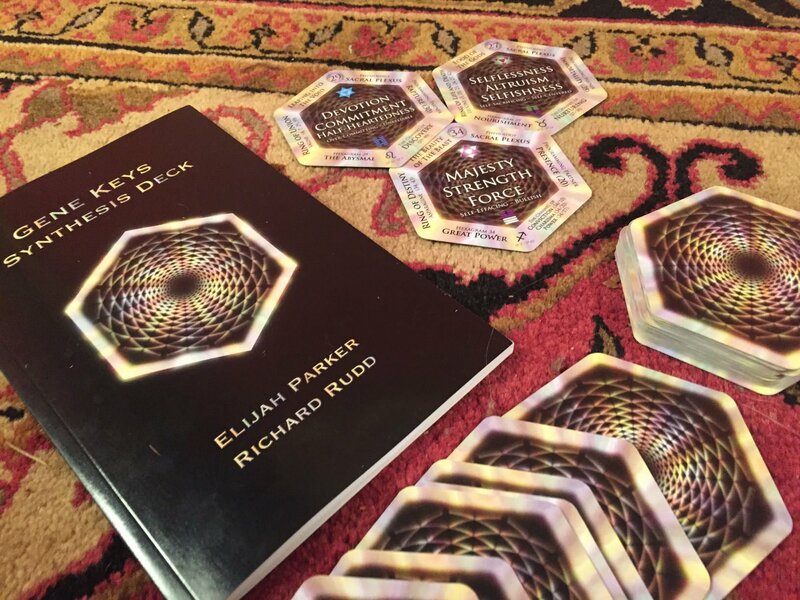 The companion booklet, written by Elijah Parker with excerpts by Richard Rudd, provide a useful introduction to the Synthesis Deck, including various ways to use the Hex Cards in personal and collective contemplation. 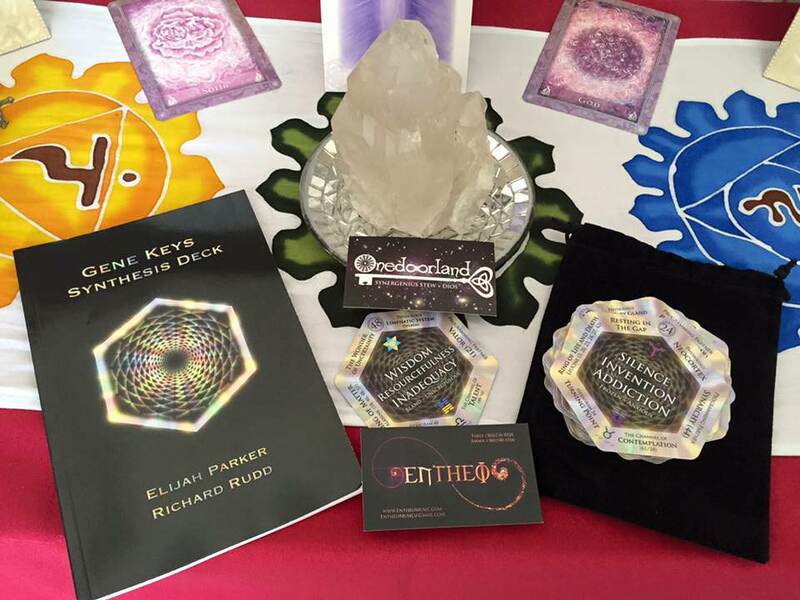 Unlike other oracle decks, this set of archetypal cards does not provide an interpretation but rather a set of tools for each person to discover their own connection to the Gene Keys. 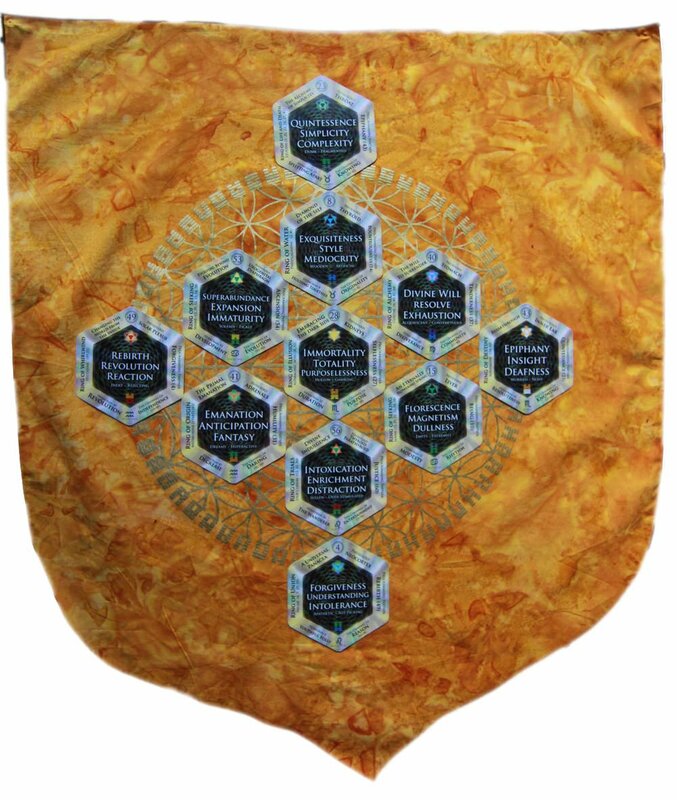 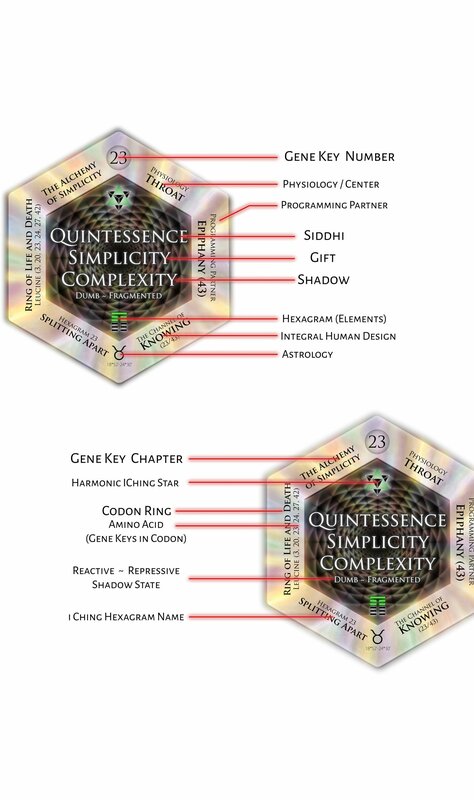 The deck includes 64 Gene Keys cards, containing all of the basic attributes – Shadow, Gift, Siddhi, Reactive and Repressive Nature, Programming Partner, Chapter Title, Physiology, Codon Ring, and additional attributes of the I Ching Hexagram name, Astrological Coordinates, and Integral Human Design Channel. 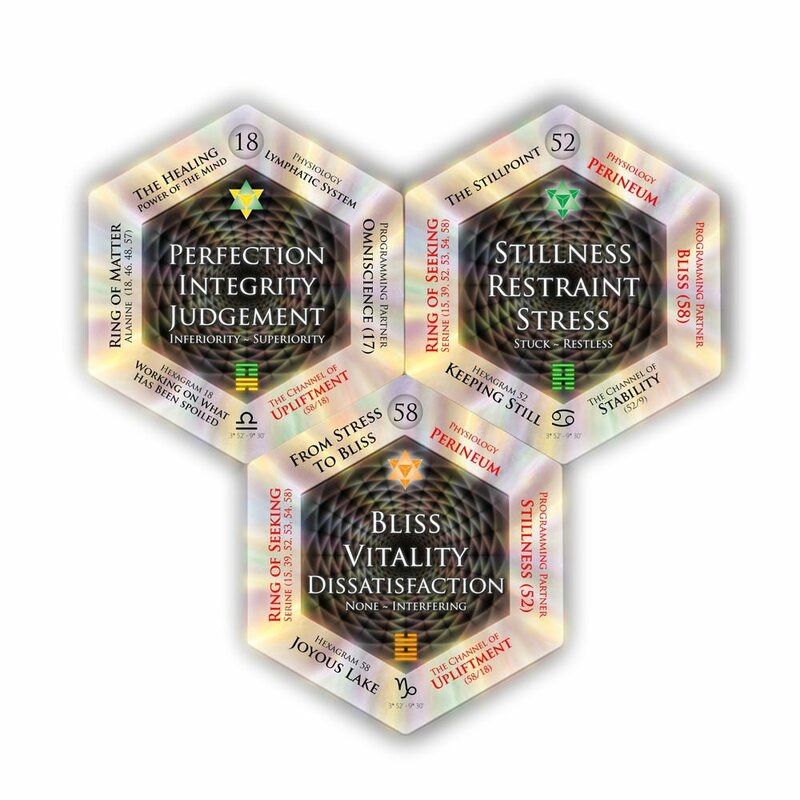 This deck also includes the 8 Ba Gua, or original elemental “trigrams”, and their relationship to the Gene Keys, as an additional tool for exploring the fundamental patterns hidden in this contemporary version of the I Ching Oracle. 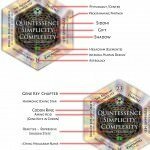 This deck is designed to be used in conjunction with the Gene Keys book, which explains each of the 64 archetypes in deeper context and provides a mytho-poetic journey of Shadow Gift and Siddhi for personal and collective transformation. 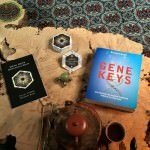 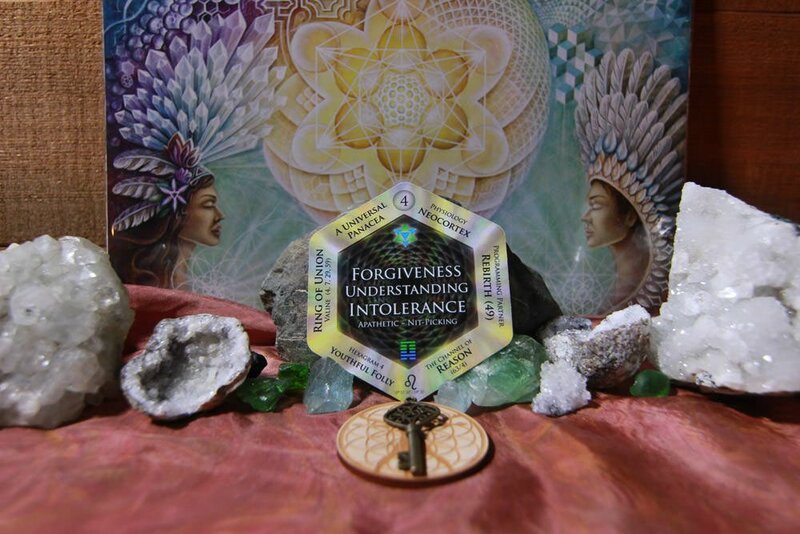 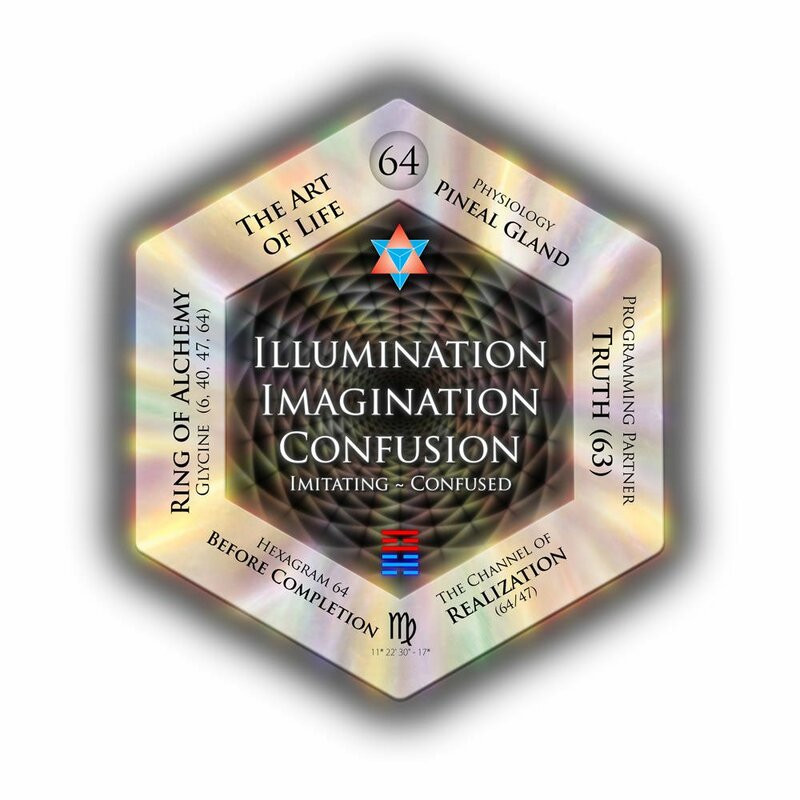 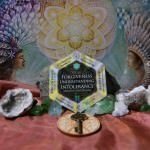 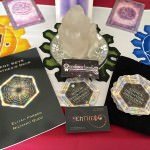 Whether you are brand new to the Gene Keys, and want an easy way to playfully explore, or you are deeply studying the intricate layers of the transmission, these cards are portals to deeper levels of awareness.